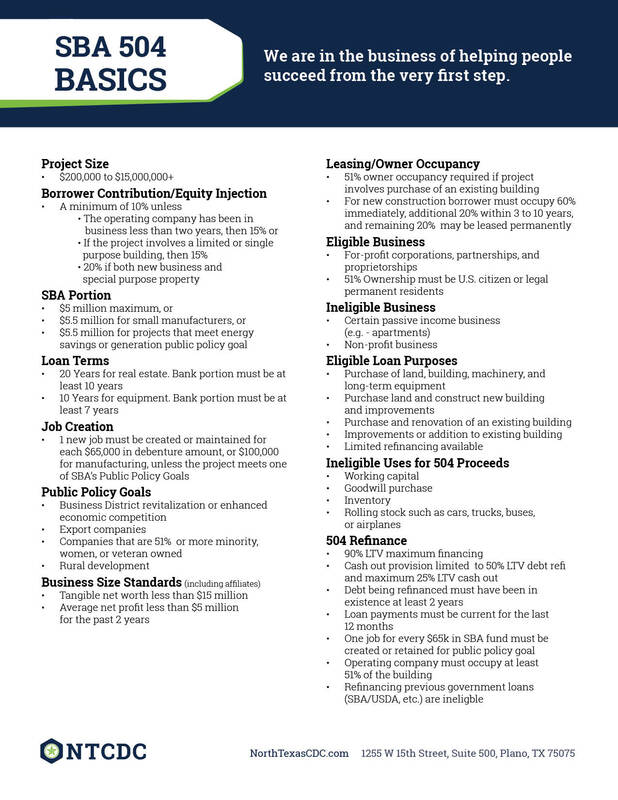 North Texas CDC is always looking for lenders to partner with in the SBA industry. 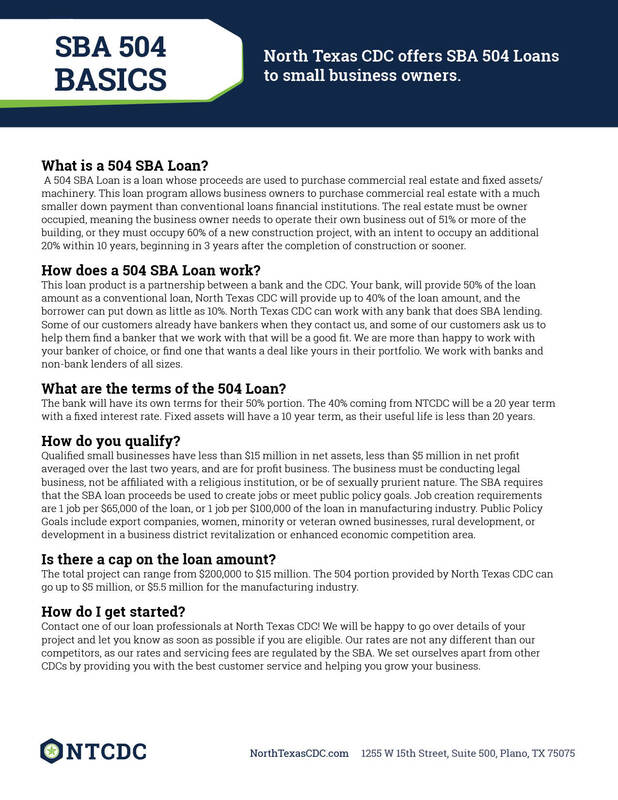 We are a leader in the SBA 504 market in Texas. Our loan experts are dedicated to getting loans approved and funded as quickly as possible. Our support staff is well trained and has the latest software that is used by the SBA for loan submissions. You can count on us to handle each deal with the highest level of professionalism and customer service.